I thought my obsession for planners was bad before! But now that I've had a chance to play with Stampin' Up! 's new Love Today Planner Kit - it has gone even further. I have so many ideas on how to use this planner, my brain can't keep up... good thing I have a planner to record them all in LOL! I have several planners on the go that I use for different things. I LOVE my bullet journal that I use, primarily for business, and knew I didn't want to change that. So I decided to use the Love Today Planner as a personal/family planner or memory planner. Watching the video will give you a better idea of what I mean by a memory planner. Here are a few photos to give you a better look. This is my shaker dashboard. It's what you see when you first open the planner! I was surprised to see how many things I could find in the catalogue that coordinated so well with this kit. One of them being the Rose Garden Thinlits. So that's what I used to create the shaker dashboard. I simply attached it to a window sheet, added some sequins and then sealed it using my Fuse Tool. And the bitty bows make for awesome planner clips!! 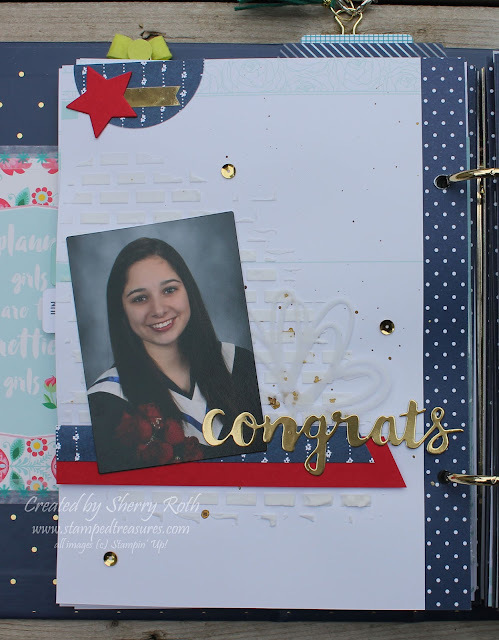 The pages in the planner are PERFECT for stamping! They are thick enough that they don't bleed or leave any shadowing - even with the color red! The little flowers in the Happy Birthday Gorgeous stamp set are the perfect size to dress up the monthly calendar. Two other sets I found extremely useful were the Thoughtful Banners and the Tabs for Everything. Between the two of them there are so many little words that you can mix and match! I go into more detail about this layout in the video. 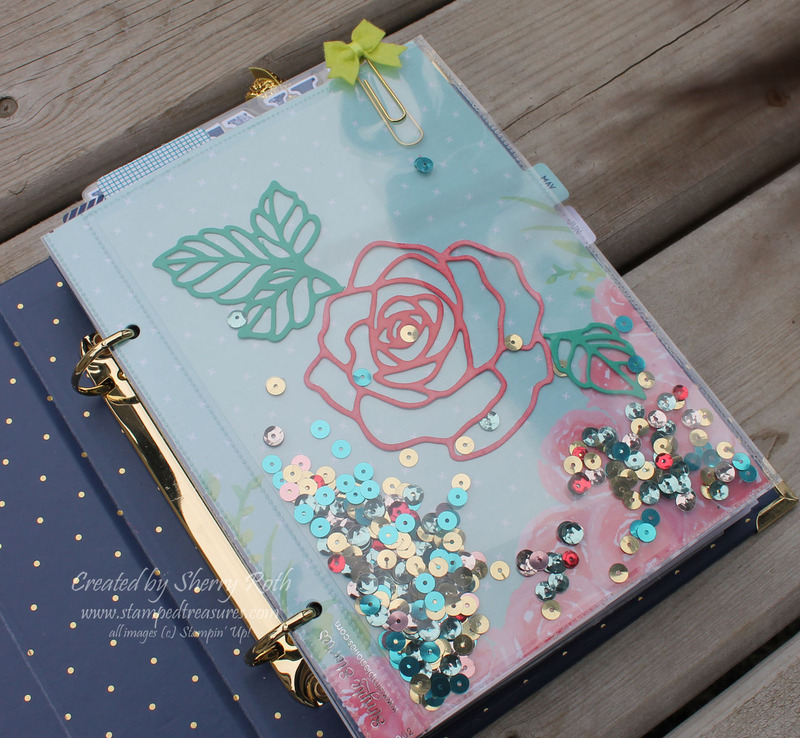 I was surprised at how well the page held up to the Embossing Past, there is a bit of curling but not much at all! I want to try watercolouring the pages to see how well they hold up. But that's for another day! I love how this page turned out. I won't be doing elaborate pages like this very often. Probably just for special occasions. But it is fun to have the option of stepping things up in my planner. I love that I have another creative outlet! And of course the purpose of a planner is to keep you on top of things and menu planning is definitely a life saver for me. 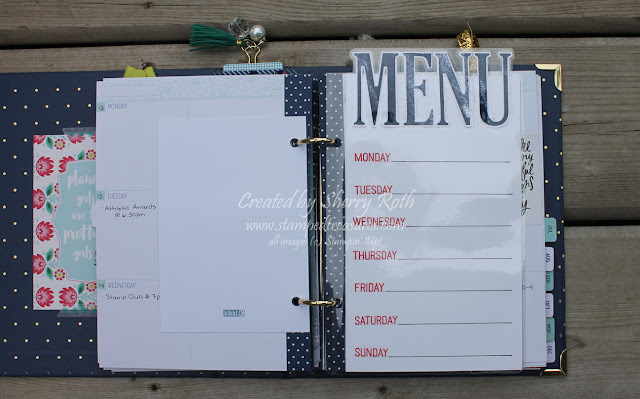 So I created this write on/wipe off menu planner that I can use over and over! I share the backside in the video. Those are just a few ways that I've used the planner and things that I've done to customize it but there will be lots more to come! If you are in Canada and would like to join me, in person, or to go, at my Pop Up Planner Party on June 27th here's the info. Hope you can make it! Do you love paper planners? Looking for a new creative outlet? Want to give paper planners a try? If you answered yes to any of these then the Pop Up Planner Party might be just what you are looking for! 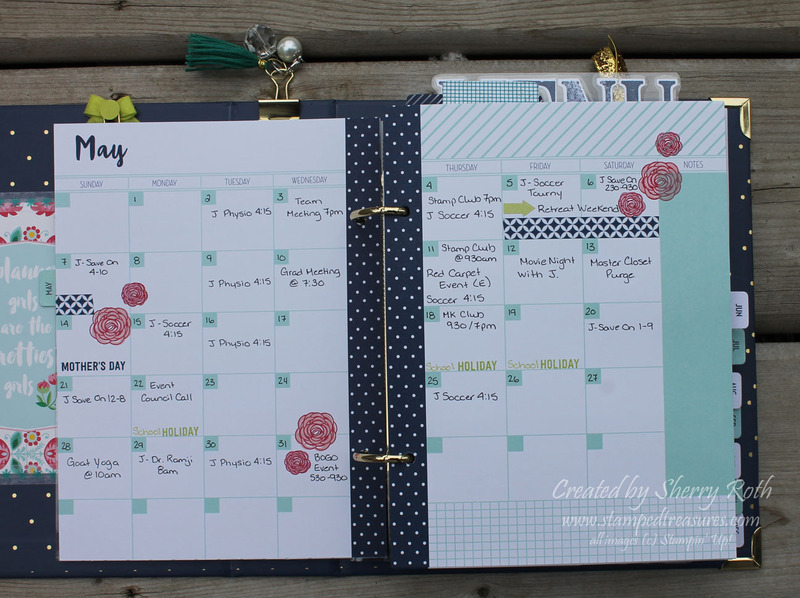 The Love Today Planner Kit from Stampin' Up! is fabulous and is something that everyone can put to good use! 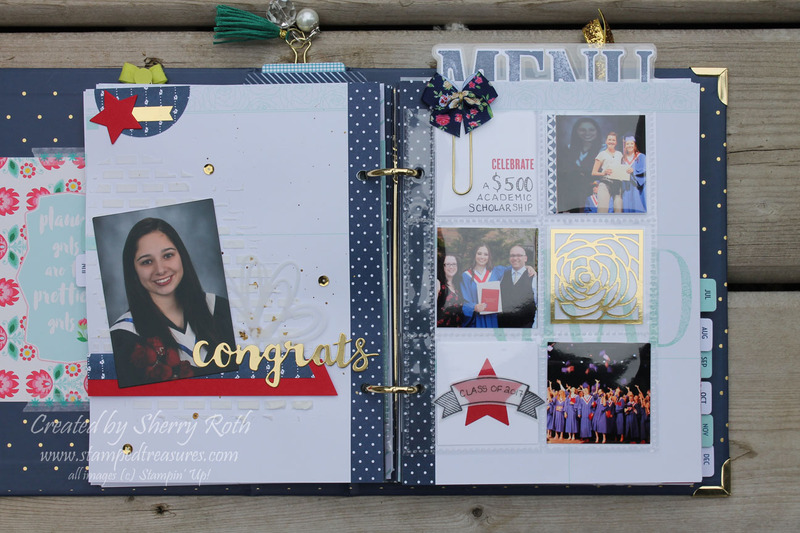 Your $55 class fee includes your own planner, all the inserts and two make & takes! 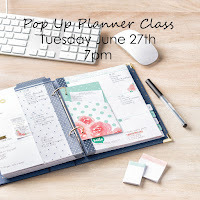 At the class we will assemble our planners, create 2 projects to add to the productivity of the planner and I'll share some ideas on how to use it. Can't attend the class? A to go kit is available for $60.85 and that includes shipping! I will film a video with tips on assembling and using the kit and send you the supplies for the make and takes. Payment and registration is due by June 16th!